Aldayna Stone Care & Maintenance specializes in restoring marble, granite, and tile for homes and offices in Morris County, New Jersey. 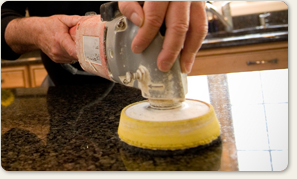 Our marble restoration services include polishing, sealing and honing all types of marble countertops, and flooring. We restore all marble surfaces to their original color and vibrancy. Aldayna Marble restorers are experts in all phases of marble restoration and maintenance with over 40 years of revitalizing many homes and offices in Morris County, New Jersey. We maintain, restore and clean all marble and granite countertops, floors, walls, showers, vanities, bars and other porous surfaces in kitchens and bathrooms for homes and offices located in Morris County. We provide free estimates for all of our services including: marble repairs, granite repairs, and marble restoration services in Morris County. Aldayna Stone Care & Maintenance provides marble restoration services for all of Morris County, New Jersey. Protect and revitalize your home’s interior investment – call us today for a free estimate at 973.239.1351. You and your marble countertops and floors will be glad you did!